October 6, 2015 by iCepts Technology Group, Inc. Comments Off on Microsoft Dynamics NAV 2016 is Here! 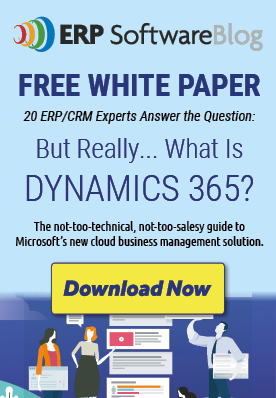 Microsoft Dynamics NAV 2016 has just been released with new ERP functionality in mobility, business insights and cloud services for Small to Mid-Sized Organizations. Microsoft continues it's commitment to making investments to their ERP Solutions and planning on a determined "Roadmap" for new product releases. NAV continues this journey with NAV 2016. Enhanced Business Insights to retrieve instant access to Key Performance Indicators (KPI's) in an intuitive environment for secured collaboration. Posted in About Microsoft Dynamics NAV, ERP Software Information, Microsoft Dynamics NAV 2015 | Comments Off on Microsoft Dynamics NAV 2016 is Here!